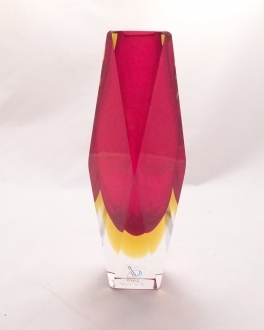 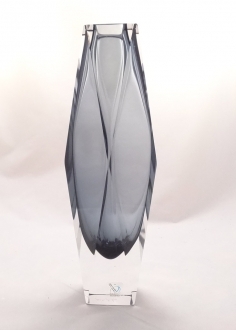 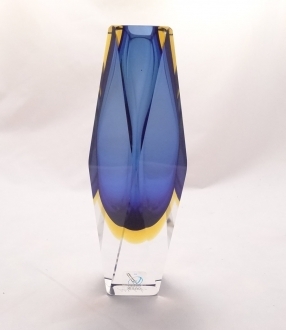 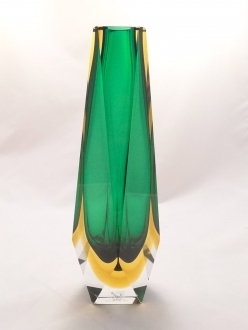 Diamond Cut Polished Sommerso Vases - Murano Glass - Murano Glass Gifts Co. 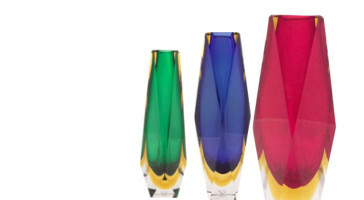 These superior quality vases has been manufactured by Mandruzatto family in Murano Island for the past four generations.Premier retails in USA and around the word are offering these vases to their sophisticated customers.The vases are handcrafted in Sommerso technique and then diamond cut and polished.These vases mistakenly are being named as crystal, but they are the blown glass and no lead dioxide has beenused to produce these magnificent art pieces. 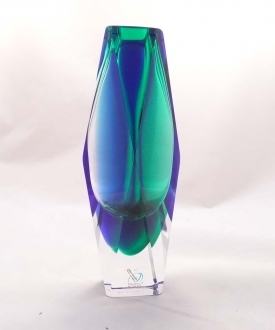 Superior spotless quality, vibrant colors, true Murano Craftsmanship!